James Bond - The Secret Agent: What a great book I am currently reading! I am not a quick reader. As you might have noticed on my spelling I have a mild version of dyslexia. Therefore I am extra happy when I have finished a book and can start on a new one. Most people seems to enjoy the ending of a book but for some reason I enjoy the beginning of books the most. 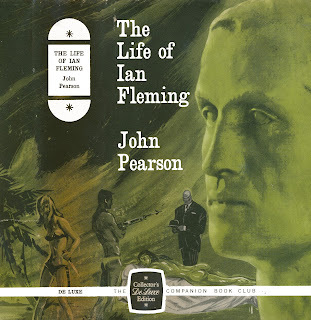 Anyhow, I finished reading Trigger Mortis a few days back and decided to jump right into THE LIFE OF IAN FLEMING by John Pearson. 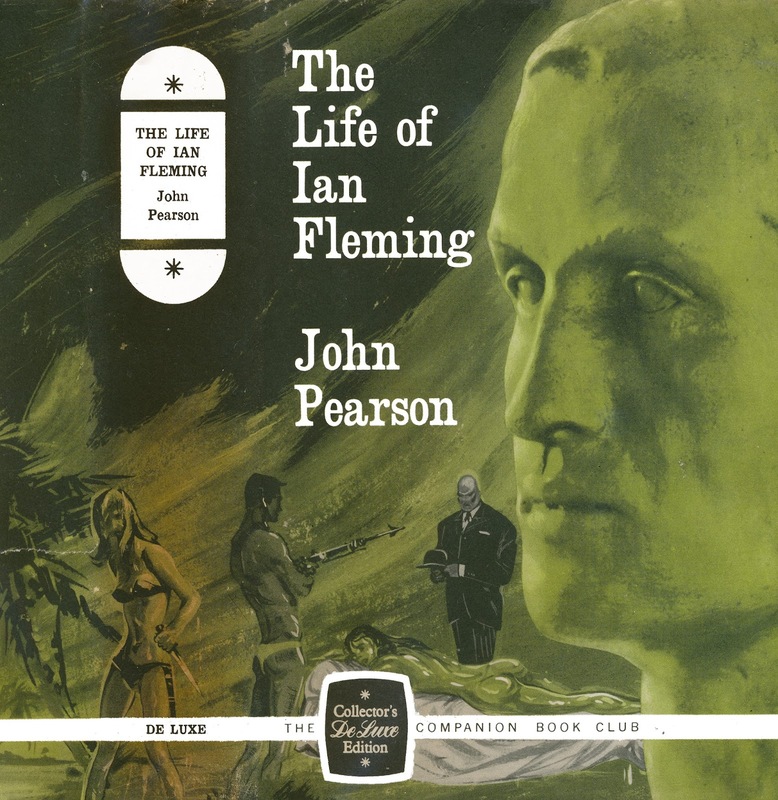 Pearson was Ian Flemings personal assistant when Fleming worked at the British newspaper The Times. The book was published in the UK in 1966 by Jonathan Cape and was also released as a book club edition that same year. In the US it was released as a paperback with the different title ALIAS JAMES BOND - THE LIFE OF IAN FLEMING. Trying off course to take advantage of the James Bond heydays taking place at that time. 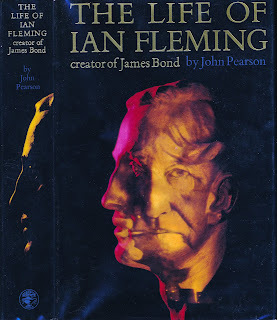 I will not reread this book but apparently the book had to be changed after the Jonathan Cape first edition was released since Thunderball Producer Kevin McClory alleged that parts of the biography were untrue regarding the novel and film rights to Thunderball. I do enjoy this book a lot. I thought that since it came out in 1966 I would have a hard time with the English language but it works fine to read even for a foreigner. This is a typical book that I would only collect a first edition, read it, and then dont collect further editions. But I really like the US cover design and the UK book club editions. If you wish to buy one of these versions they are all available on EBay and do not cost much compared to others. Click HERE for a EBay link. Just make sure to get your hands on a first edition of the book. 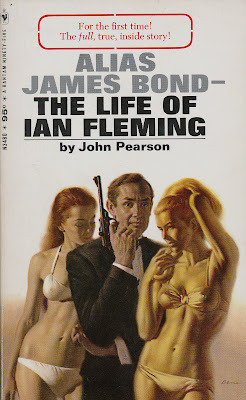 THE LIFE OF IAN FLEMING was such a great book that John Pearson was offered to write a James Bond novel in 1972. In 1973 the fictional biography: James Bond: The Authorized Biography of 007 was released. I read that book earlier this year and I absolutely loved it. If you have not read it, you should. Its great but a hole new blog post in itself.